From fundraisers and auction dinners to festivals, concerts and more, it’s hard to find a week where there’s aren’t a number of great events happening in Santa Maria. Recently, two major local events – the Santa Maria Elks Rodeo and the Central Coast Airfest - received national recognition for putting on programs that truly excelled in their industries and provided value and entertainment to the Santa Maria Valley. The 2018 Central Coast Airfest was recently awarded the first place Pinnacle Platinum Award for best Small Civilian Air Show category in 2018 by the International Council of Air Shows (ICAS). The award was presented at the annual ICAS convention in Las Vegas on December 5th to Chris Kunkle, Airfest Committee chairman, Christ Hastert, Santa Maria Airport General Manager, and Henry Behel, Producer and Director of the Airfest’s video, The Inventor’s Dream, that was part of the award nomination package. “We were absolutely thrilled to have been chosen as the top civilian airshow by ICAS, particularly since this was our first airshow” said Chris Kunkle. “We could not have done this without the tremendous support of the airport district, volunteers, and our great sponsors. ICAS, founded in 1967, is a trade association of industry professionals who protect and promote airshows in North America. It provides information to air show sponsors and pilots; promotes safety at all aviation events, and works with government agencies to develop air show safety standards. The ICAS Pinnacle Awards program seeks to showcase professionalism, innovation in problem solving, and overall excellence in all air show operations and management. The Platinum and Gold Pinnacle Award recipients are selected for each of the following categories: Small Civilian Air Shows (less than 15,000 spectators), Mid-Size Civilian Air Shows (more than 15,000, less than 35,000 spectators), Large Civilian Air Shows (more than 35,000 spectators), Military Air Shows/Open Houses, Civilian Performers, Military Performers and Support Service Providers. All entries are judged by a panel of air show industry subject matter experts. They base their assessment on areas such as improving the long-term sustainability of the air show, and generate increased interest in aviation or careers in science, technology, engineering and math. They also look at how successfully the airshow is run and achieves its stated purposes. Plans for the 2019 Central Coast Airfest, scheduled for October 12 & 13th are already underway, and the U.S. Air Force Viper Demo Team (www.acc.af.mil/home/aerial-events/F16-Viper/) has committed as the premier air demonstration team for the event. 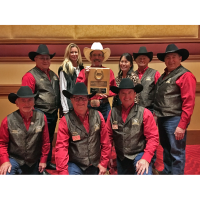 Santa Maria Elks Rodeo was honored as the recipient of the Justin Best Footing Award at the 2018 WPRA Star Celebration as part of the National Finals Rodeo in December in Las Vegas, Nevada. The Women’s Professional Rodeo Association (WPRA) and Justin Boot Company recognizes Rodeo Committees in each of the 12 designated rodeo circuits that put forth extra effort to ensure their rodeo had the safest, most consistent ground conditions throughout the entire rodeo to provide a safe and level playing field for the barrel racing competition. Santa Maria Elks Rodeo took first place in the California Circuit, bringing home not only the title, but a $1,000 cash award, plaque and a certificate for a pair of Justin Smooth Ostrich or Lizard Boots. “The WPRA Best Footing Award means a lot to all of the volunteers who have worked very hard over the past few years to get the dirt in optimal condition. “In 2017 we were awarded a soil grant from the WPRA to research the mixture of soil elements in our arena soil. That report enabled us to make the necessary adjustments needed to reach optimal success” stated Tina Tonascia, Chief Operations Officer. “Looks like we got it right as indicated by some of the fastest times we’ve seen from 2018 Barrel Racers in Santa Maria in a long time” stated Joey Silva, Arena Preparation Chairman. “Many other businesses and volunteers stepped up to assist us with the potion that made it all happen” he continued. The Justin Best Footing Award marks the second award Santa Maria Elks Rodeo has received in recent years from the WPRA. In 2015, WPRA bestowed the honor of voting Santa Maria Elks Rodeo the Best Medium-sized Rodeo of the Year. 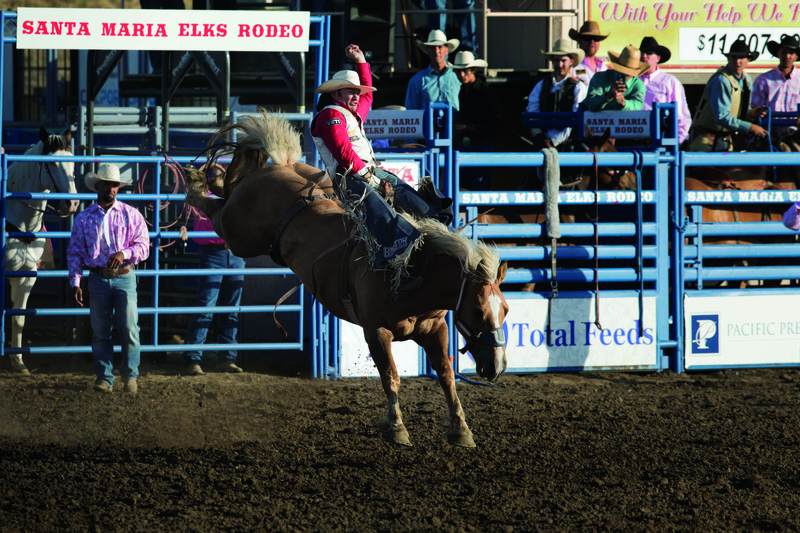 Santa Maria Elks Rodeo takes place the first weekend of June and planning has already begun for the 76th Anniversary. Be sure to mark your calendars now for May 30 - June 2, 2019. Events like the Central Coast Airfest and the Santa Maria Elks Rodeo showcase the talent and passion people have for giving back to the community by providing high quality, local entertainment to benefit our local economy. “The Elks Rodeo has provided countless programs that benefit our community in immeasurable ways. From our Queen Contest which has distributed over $12 million to youth recreation, to our most recent partnership with the Golden Circle of Champions program benefiting Childhood Cancer, the Rodeo is a crucial player in giving back to it’s community,” explained Tina Tonascia, Chief Operations Officer for the Santa Maria Elks Rodeo. 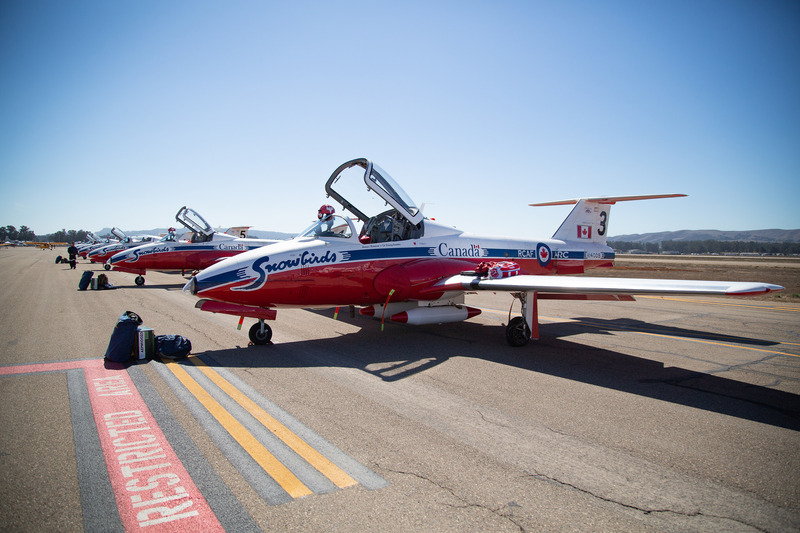 You can learn more about the 2019 Central Coast Airfest by visiting www.centralcoastairfest.com, and the 2019 Santa Mara Elks Rodeo at www.elksrec.com. From the saddle to the skies, Santa Maria has lots to look forward to in 2019!